Prof Paul McSweeney has taught courses on cheese science at University College Cork for nearly a decade and has given graduate-level courses in universities and research institutes in Mexico, Turkey, South Africa, Italy and Argentina. Courses in cheese science ranging from 6 to 24 h in duration are available for a variety of audiences including industry personnel and graduate students. 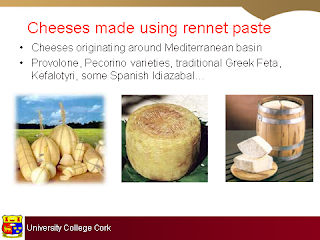 Rennet-coagulated cheeses are ripened (matured) for a period ranging from 2 weeks to 2 or more years during which the flavour and texture characteristic of the variety develop. 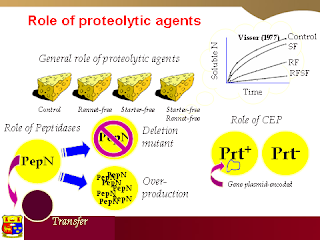 Cheese ripening involves changes to the microflora of the cheese, including death and lysis of the starter cells and the development of an adventitious non-starter microflora. 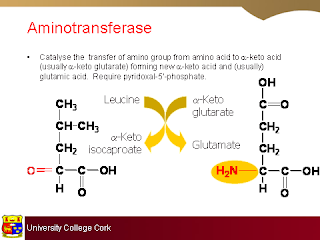 During ripening, cheese flavour develops due to the production of a wide range of volatile and non-volatile flavour compounds by primary (lipolysis, proteolysis and metabolism of residual lactose and of lactate and citrate) and secondary (metabolism of fatty acids and of amino acids) biochemical pathways. 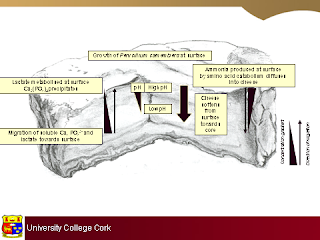 The biochemistry of flavour development in cheese during ripening will be covered in depth. For further information, please contact Prof PLH McSweeney.